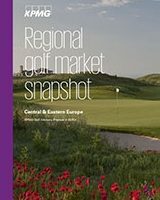 This latest regional golf market snapshot provides insights and analysis of current demand and supply trends in the Central & Eastern European golf industry. This time KPMG has studied 19 CEE golf markets, offering an outlook on golf in the region. 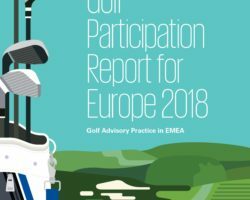 Though there are nascent markets which demonstrate a consistent stability (which we address in this report), the general trend throughout the region is growth with nearly approximately 78% of the region’s golf associations (67% in traditional European markets) indicated that their level of participation either stabilized or increased in 2015. We also provide a brief analysis of three markets (Albania, Bulgaria and the Czech Republic). Please read the full report for a detailed insight. We are delighted to present our report on golf in Turkey, one of today’s most successful golf tourism destinations in the past decade globally. With its 18 golf clubs and 6,776 golfers, today Turkey represents a golf market in its infancy that still relies heavily on international golf tourism. However, in light of a progressing tourism industry and favourable climatic conditions, together with its highly successful junior golf programme, and commitment of industry stakeholders to further the development of golf in the country through various initiatives. We believe that golf in Turkey has a great development potential. In the autumn of 2015, KPMG’s Golf Advisory Practice interviewed key market players and queried all golf course managers and operators currently active in Turkey to gain an understanding of their operations and their future expectations about the golf market. With more than 32,000 rounds played in Belek at an 18-hole (or equivalent) golf course on average, this region is one of the best performing golf markets in Europe. Turkey’s choice of Belek for the development of such a major golf cluster, at least in European terms, has proven to be successful within the country and the golfing world. With further courses in the country’s planning stage, and Belek being Turkey’s most prominent golf destination, there is a wealth of acquired knowledge and experience in this region on which Turkey can capitalise to grow its overall golf market. We would like to express our appreciation to Turkish Airlines and the Turkish Golf Federation for their support during the course of preparation of this report and to all of the golf course managers and operators who have contributed to this research. If you would like to receive any clarification or discuss the survey results, please feel free to contact the Golf Benchmark Team. Based on the responses of owners and developers of over 100 recently constructed/under development golf facilities, our latest report provides information on the planning and construction costs of golf courses in various locations of EMA, as well as typical development timeframes. 2012 World Amateur Team Championships in Turkey.